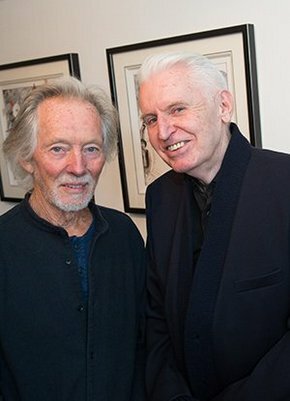 Klaus Voormann visited the Genesis Gallery and Reading Rooms last weekend to meet subscribers at an exhibition of his work. There was a variety of Voormann's work on show: from his Hamburg Days prints to the new Revolver 50: The Collage Series. The artist spoke with subscribers about making the original Revolver album cover and his time with The Beatles. To find out more about Revolver 50: The Collage Series and order your artwork, click here. Of this series of 250 unique collages, only 30 now remain. Each of these last collages will come with an event certificate signed by Klaus Voormann.